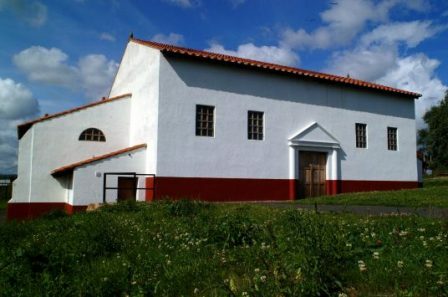 Full scale reconstructed bath house introduces visitors to the luxury and sophistication of the Empire. 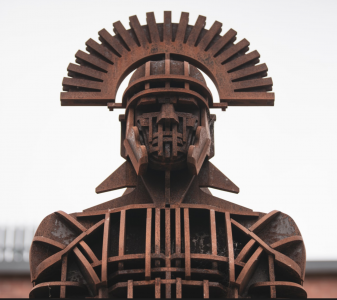 Located at the eastern end of Hadrian’s Wall (Wallsend! 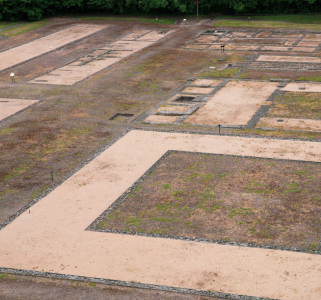 ), the Roman fort at Segedunum is the most completely excavated fort on Hadrian’s Wall. From the 35 metre viewing tower you can look out across the former fort to see the outlines of barrack blocks and stables, the headquarters building and the commander’s house. Across the road is full scale reconstruction of a section of Hadrian’s Wall alongside an 80 metre stretch of the original wall, standing up to eight courses high in places. Troops stationed here at different times came from what is now Belgium and northern France. A reconstructed part of a barrack block in the museum shows how horses and troopers were housed. The museum was designed with family visitors and children in mind and there are lots of interactive exhibits exploring all aspects of life in the fort which was home to a cavalry regiment. The site is managed by Tyne and Wear Archives and Museums on behalf of North Tyneside Council. There is a coffee shop and bookshop.